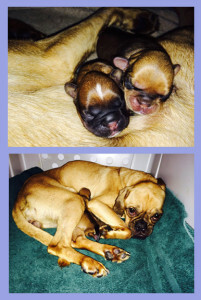 Many of you follow us of Facebook and have seen the pictures of Molly and her puppies, Abby & Lucy. Molly and her best bud, Carly came to CPR very ill and in need of immediate medical attention. They both spent three days at Hollywood Animal Hospital in ICU. Not only was Molly ill, but also in labor. She gave birth to Abby & Lucy but is struggling to eat and drink. Her babies are holding on but are not thriving as well as we would hope. 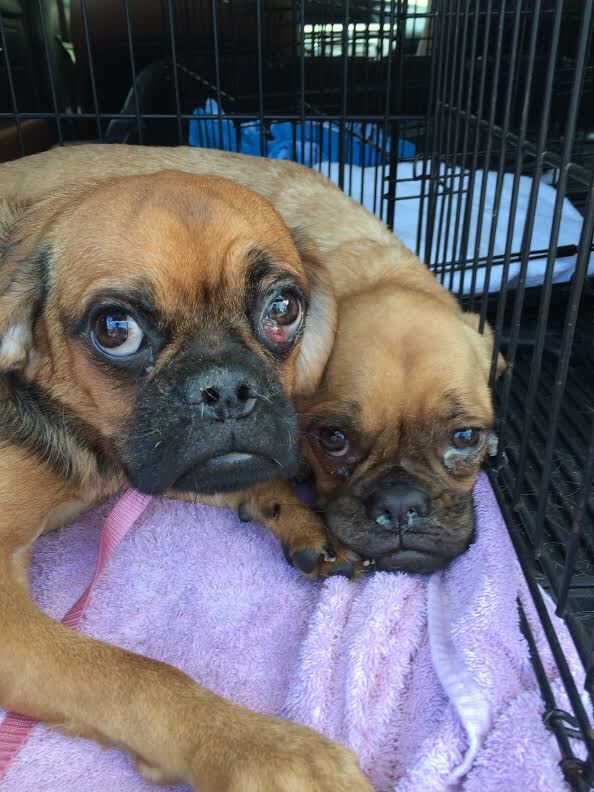 Molly and Carly are just two of several pugs and pug mixes we are now caring for from a recent hoarding case. 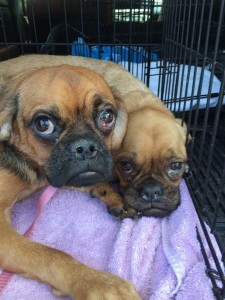 The dogs were ill, scared and needed to see a vet ASAP. The love we provide to our beloved pugs is free. However, the medical treatment is not. We are incredibly grateful to the clinics & hospitals like Hollywood Animal Hospital and South Shore Animal Hospital who are continually caring for our pugs and coming to their aid. We also need your help. The medical costs are rising but a price cannot be put on saving the lives of these sweet pups. Please consider donating to CPR. You can do so directly by sending money via PayPal to: cpr@compassionatepugrescue.com (also found on our homepage) ~OR~ you can mail a check to: CPR – PO Box 630626 – Miami, FL 33163. All donations go directly to the care of our pugs and are tax deductible. 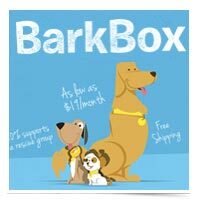 Signing up for BarkBox (monthly surprises for your dog!) and using discount code PAPAPUG. 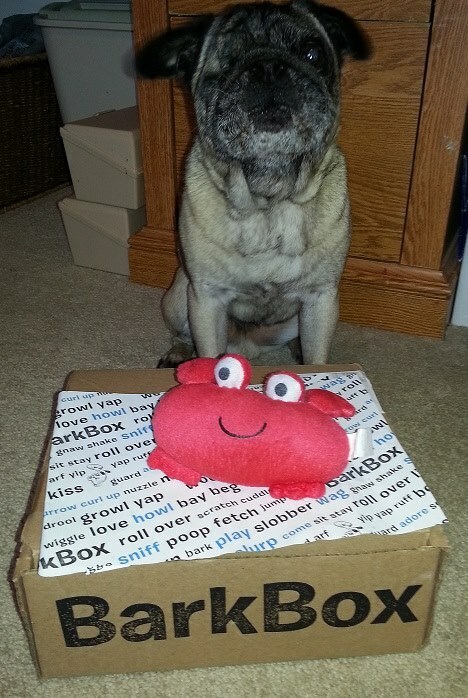 Each time the discount PAPAPUG is used, $15.00 will go directly to CPR. Walking! 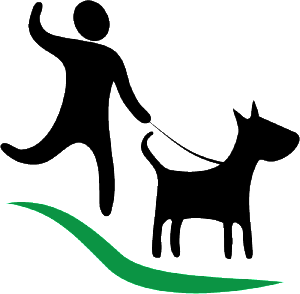 Download WoofTrax – an app for your iPhone or Droid that donates to CPR while you walk! Remember to change the shelter to Compassionate Pug Rescue. Shopping! 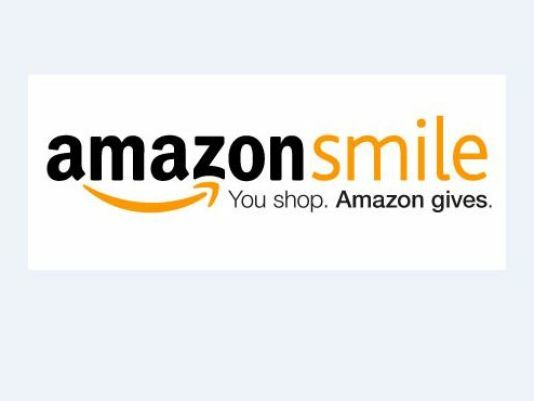 If you shop with Amazon, you can start using Amazon Smile. Be sure to select Compassionate Pug Rescue, Inc. as your charity. For more info, see their About Section. Shopping some more! Shop with iGive and a portion of every purchase will go to CPR.